In this post I will share some pictures of a large Hungarian commission I have recently painted. 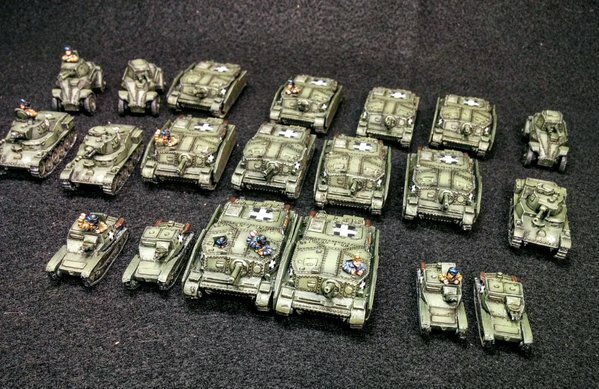 I painted 10 Zyrini, 3 Toldi tanks, 3 Csaba armoured cars, and 4 Italian tankettes. The models are all from Battlefront for Flames of War. All models were painted with panel highlighting. This post will show some pictures of the completed platoons and a picture of the group. 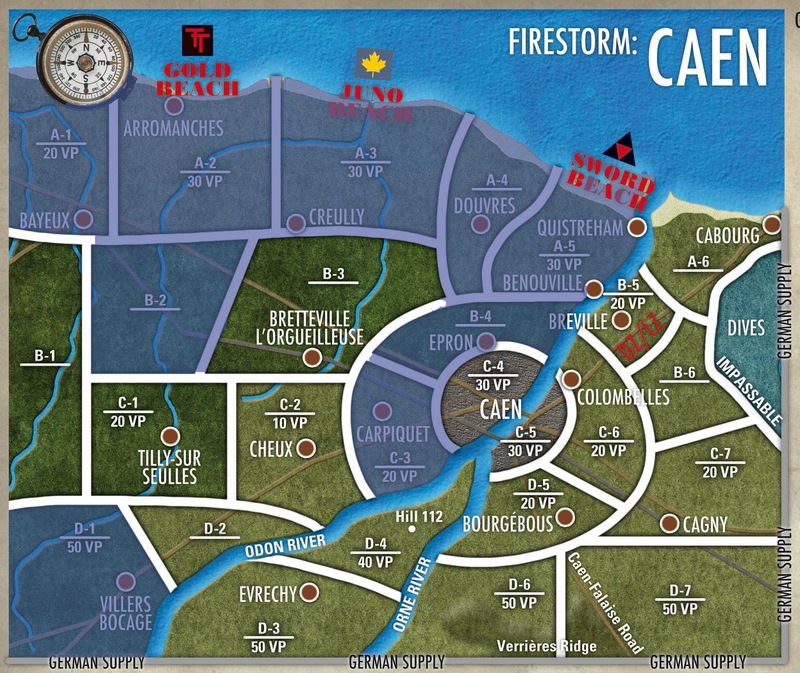 In this blog post I'll share all of the details for the final turn of the Firestorm: Caen campaign. After 187 games, the Allies hold a slight lead in victory points at 657-645. Unfortunately for the Allies, this hasn't translated to campaign success as the Germans have captured key locations to thwart the Allied advance. Turn 4 saw the Allied troops advance into the areas around Caen. Turn 5 will see continued fighting around Caen and assaults to relieve the 7th Armoured Division that is trapped at Villers Bocage. Read on for the full details on all battles for the final turn! 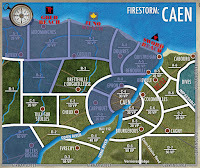 This week saw the conclusion of Turn 4 of the Firestorm: Caen online campaign hosted here at Rust and the City. In turn 4, we had a total of 44 games played. As results started coming in the Germans held a massive advantage in all campaign map locations. 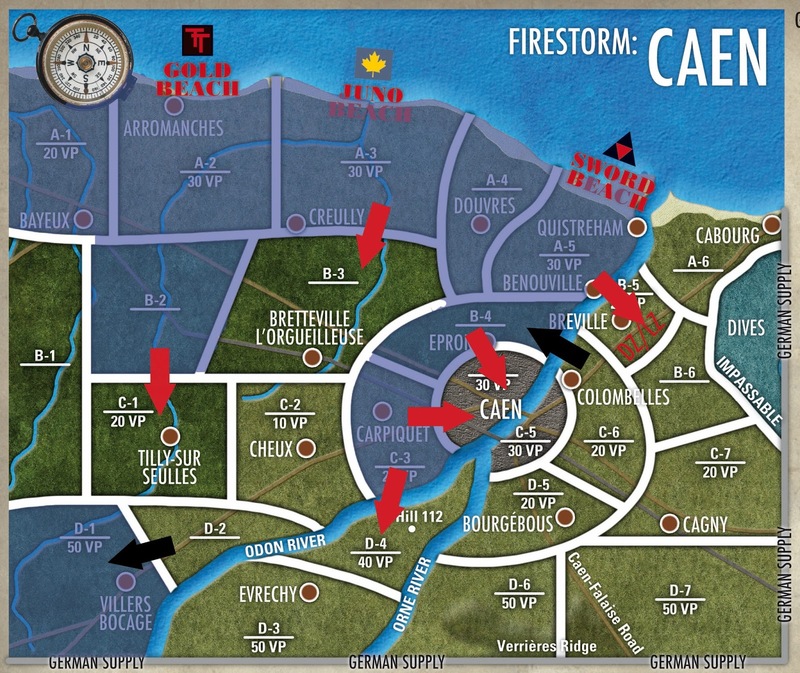 The Allied forces desperately needed some success to continue the drive towards Caen. 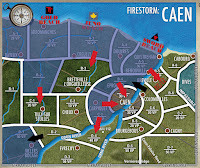 Will this turns result spell the end of the Allied offensive around Caen? Read on to find out! Following my 2015 Year in Review, this post will highlight my hobby goals for 2016. The goals will include both painting and game playing targets. 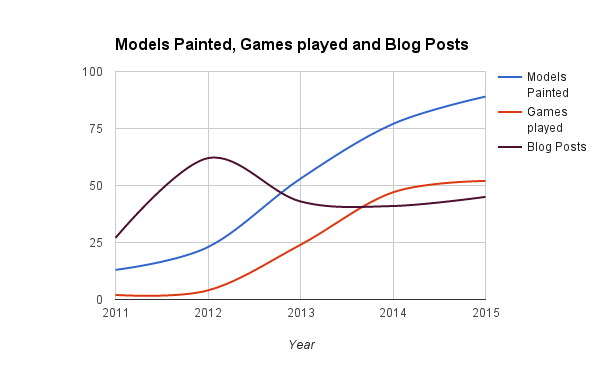 Like last year, I am hoping to increase my painting productivity and the diversity of models I paint. I'm also setting goals around the number of games I play and building my local gaming community. Every year, I like to do a little year in review to see how I have done with my hobby goals for the previous year. In this post I'll review how I did compared to my goals from last year. I'll also share some highlights from my painting and games for the year. Read on to see how I did in 2015.